We've tried to make it easy to get in contact with us so we can resolve your issues as quickly and effectively as possible. 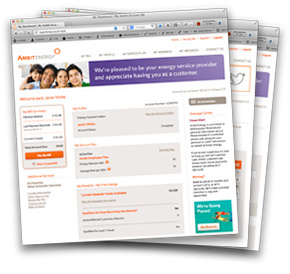 Whether you’re a residential energy Customer, a commercial energy Customer or one of our Consultants, we want every contact you have with Ambit Energy to be a positive experience. We understand that without loyal customers and successful Consultants we have no business. We strive to treat every Customer inquiry and every Consultant phone call as if it were the only call by which our success is measured. Many questions or concerns can be addressed via email. You’ll find a list of what we can help you with in the drop-down box below. Just fill out the form and our Customer Care team will get back to you in the next 48 hours. If we are unable to address your issue via email, please call Customer Care. Thank you for submitting your inquiry to Ambit Energy. You can expect to hear back from our Customer Care team within the next 48 hours. MyAmbit Account – Log on to my.ambitenergy.com and pay online using your credit card, debit card or bank account. If you don’t have a MyAmbit Account, you can create one in a few minutes. All you need is your Ambit Energy account number (ex. AXXXXXXX). Customer Care – You can also pay over the phone by calling Customer Care at (877) 282-6248 Monday – Friday, 8:00 a.m. – 6:00 p.m., or Saturday 10:00 a.m. – 5:00 p.m. CT. If you are experiencing technical difficulties when using one of these payment methods, please submit an inquiry using our email contact form below. Please call Customer Care at (877) 282-6248 Monday – Friday, 8 a.m. to 6 p.m. CT, or Saturday, 10 a.m. to 5 p.m. so that we may better assist you. Have You Visited MyAmbit Account?